Guess where I've been for the last 2 weeks. Ok, I'll tell you - Italy. 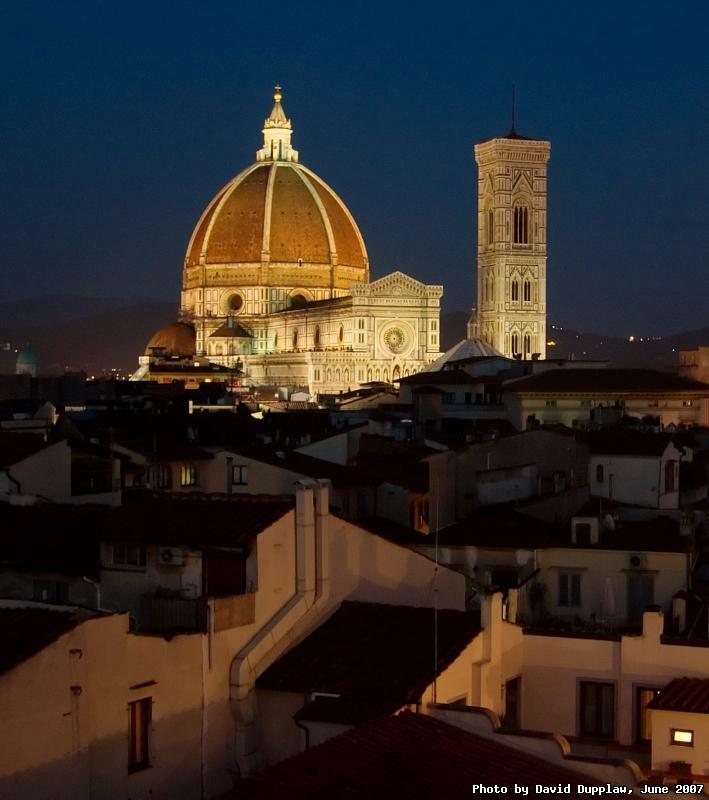 I spent one evening in Florence having a nice meal at the top of the Grand Hotel Baglioni where there was a very nice view of the cathedral and Giotto's bell tower.